The French government believes Ghosn deserves an opportunity to defend himself but it does not want to be seen accused of shielding an executive who enjoyed the trappings of large salaries, at a time when France is rocked by violent protests against rising costs of living and tax cuts for the wealthy. PARIS -- Carlos Ghosn will get a chance on Tuesday to make his case to a Tokyo court that he should be released on bail from his 50-day detention over alleged financial impropriety at Nissan. But in Paris, his future as head of Renault is increasingly in doubt. The French state, the automaker’s biggest shareholder, is calling into question if Ghosn can remain at the helm of one of the country’s most important automakers, according to a senior government official. Ghosn would spend most of his time defending himself against accusations of financial improprieties rather than running a company, and his position at Renault is seen as unrecoverable, according to people close to Renault’s leadership team, who asked not to be identified discussing internal company matters. Ghosn held pivotal roles in Japan and France as chairman of Nissan and chief of Renault, as well as head of the alliance that binds together both automakers. Nissan, where allegations of wrongdoing surfaced, moved swiftly to remove him from his post after his arrest on Nov. 19, while Renault nominally kept him in place as it awaits more evidence of malfeasance. Ghosn has disputed the allegations through his lawyer, though prosecutors in Japan have doubled down, re-arresting the disgraced executive last month and bringing new accusations that range from hiding investment losses to misuse of company funds. Renault officials didn’t respond to requests for comment. How to proceed is a tough choice for Renault and the French government. The thinking goes that on the one hand Ghosn deserves a fair treatment and opportunity to defend himself, particularly given his years-long services to Renault. But on the other hand, the government does not want to be seen accused of shielding an executive who enjoyed the trappings of large salaries, at a time when France is rocked by violent protests against rising costs of living and tax cuts for the wealthy. Only if Ghosn was definitively prevented from returning would the government seek to replace him, Le Maire said. The government has sought more information on allegations of improper payments, he said. “If and only if he were blocked lastingly would we draw conclusions. But we aren’t there today,” Le Maire said. Ghosn will attend a hearing of the Tokyo district court on Jan. 8, according to his chief lawyer, Motonari Otsuru. The session was called after Ghosn’s legal team requested an explanation on why he remains in jail, after having had his detention repeatedly extended. His arrest came after a months-long investigation by Nissan into his conduct, a probe that was kept from its French partner. If proven, each of Ghosn’s alleged offenses may carry a sentence of as much as 10 years, prosecutors have said. With the hearing scheduled, that may provide a catalyst for action in France, where Ghosn has been kept nominally in place as CEO of Renault while the company is run by Thierry Bollore, who was made interim CEO, with independent director Philippe Lagayette as acting chairman. Government spokesman Benjamin Griveaux declined to comment on topics that might interfere with a judicial inquiry and reiterated the importance of stability at Renault. He declined to say whether Ghosn should be stripped of his mandates at the end of the inquiry. Renault is “strongly managed at this stage and is also benefiting from strategies that have been implemented for many years” by Ghosn, Griveaux told reporters in Paris on Jan. 4. Despite all demands to give Ghosn a fair shake, President Emmanuel Macron has been at odds with the executive and with Nissan since obtaining greater government control over Renault as economy minister a few years ago. Macron asked his administration last month to crack down on executives who avoid paying taxes in the country. 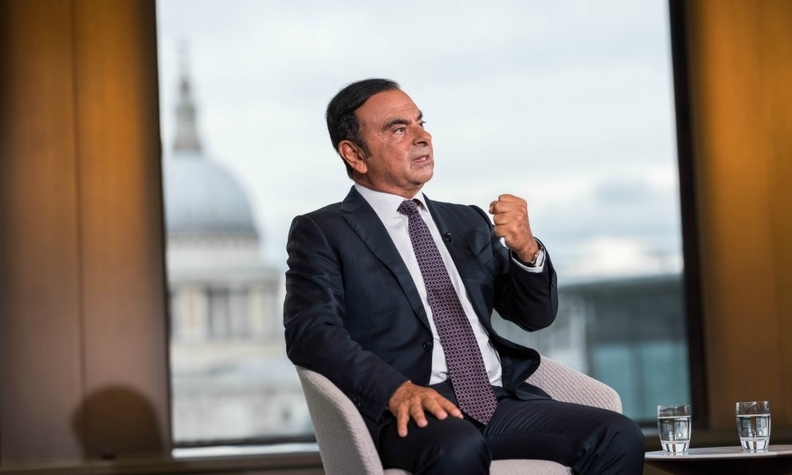 At the same time, Renault, which benefits from the status quo that Ghosn enforced at the alliance, has been wary of making changes under pressure that could potentially increase the clout of Nissan, which has said that the structure of the alliance should be reviewed. As Ghosn’s position becomes increasingly untenable at Renault, France has started to shortlist potential successors as chairman, with Michelin CEO Jean-Dominique Senard as frontrunner, a person familiar with the matter said last month. Ghosn’s detention was last extended Dec. 31, allowing authorities to keep him behind bars until at least Jan. 11. And even if he is released on bail this week, Ghosn’s hardly going back to the globetrotting days he relished in more than a decade atop the alliance. Instead, his movements would likely be restricted to his home or a hotel, and he would need court permission to leave the country, legal experts have said -- hardly a sustainable position for a manager who like few others has epitomized a jet-setting business aristocracy with multiple salaries and residences across the world.